ELCANO HOTEL ACAPULCO, WITH ITS EXQUISITE TASTE, IS A COMBINATION OF OLD FASHIONED ELEGANCE AND MODERN FACILITIES. 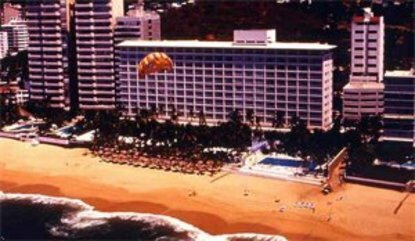 LOCATED ON ONE OF THE BEST BEACHES IN ACAPULCO, THE HOTEL OFFERS AMENITIES SUCH AS A RESTAURANT AND BAR, PALAPAS, RECREATIONAL ACTIVITIES AND MUCH MORE. FRIENDLY, PERSONALIZED SERVICE IS WHAT HAS MADE ELCANO HOTEL THE FAVORITE FOR MANY VACATIONERS. COME AND ENJOY THE OCEAN VIEW DINING, ROOM SERVICE AND BEACH LOUNGES ALL IN THE HEART OF ACAPULCO.